by Adelle Waldman. Henry Holt and Company: New York, 2013. The reviewer perfectly mimicked the sort of shocking juxtaposition that those literary Brooklyn types so love by matching them with the duck swamp people. As the reviewer and the book’s dust jacket say, Waldman does in fact belong to this set, so I have to wonder whether there’s any awkwardness when she’s at dinner parties or bars with her friends. On perhaps a more positive note, it is also at Harvard that Nate “began, really, to read…The spring of his sophomore year he began to read from feverish loneliness, a loneliness he began to fear would be permanent…” Been there. After Harvard, though, he finds his way to Brooklyn and falls into a group of young people who all work various freelance writing jobs, a few as assistants to editors of New York Review of Books and similar publications, all while working on their own big novels. Their conviction of the worth of this enterprise is something – not quite admirable, but close? On Nate’s first date with Hannah, a main love affair of the book, she says, “ ‘Nobody I know from home writes or does anything close…They have regular jobs, at banks and insurance companies. Things like that.’” Well, FYI, Nate and Hannah, those “regular” jobs actually are probably pretty interesting – the chance to meet and help many different kinds of people, challenges of unexpected events, etc. What sounds boring is the endless self-absorption and naval-gazing a la the Brooklyn literary bubble. While I’m ranting – is this the reaction Waldman wanted? – let me point out that Hannah and a few other characters smoke. How stupid does one possibly have to be to smoke? These girls are obviously not undereducated about smoking, or in such dire circumstances like the army or prison that it’s their only release. No, they do it as a social statement: “’ I just get so sick of the antismoking thing,’ she said. ‘It’s so totalitarian.’” This is where life experience, perhaps in the form of volunteering, could come into play. One glimpse around your average hospital ICU unit and one would see why anti-smoking campaigns aren’t just one more boring adage from your parents. Did Waldman put the smoking in there as a sort of symbol for how some of these young people are shooting themselves in the foot, cutting off ties with parents or making meaningful career moves, for the sake of playing a part? And for all of these “bright young things’” desire to be unique and different, it’s still the same old story: at dinner parties where they debate whether their own Whole Foods latte-liberalism is just Marxism disguised and check out each other bookcases to notice a lack of Graham Greene, still, the girls are all just trying to find a guy. Nate recoils at the idea of everyone wanting to be in a relationship: “If Nate’s idea of a nice dinner involved hunching over his kitchen table with a Celeste Pizza for One and a copy of Lermontov’s A Hero of Our Time, who is to say that his ideal is worse?” I find that last sentence so amazingly sad. To retreat into a defensive shell angrily proclaiming that “alone is better” is easy and understandable. But there is better out there. 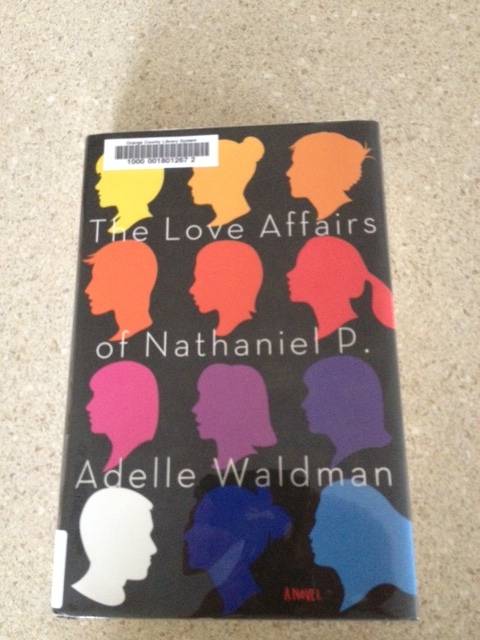 And even Nate “knew what the response [to his supposed preference to being alone] would be: maturity, it’s what adults do, et cetera, et cetera.” By the end of the book, Nate has come to drop the annoyed adolescent “et cetera” and find a relationship that he enjoys. It’s not with Hannah. After Nate drags his feet in terms of commitment one too many times, he and Hannah break up. He tries to excuse his behavior by making it philosophic: “ ‘Sometimes I think I’ve lost something,’ he said to Hannah. ‘Some capacity to be with another person, something I used to have….’” Hannah, thankfully, calls him on it in what I think is one of the best paragraphs of the book: “ ‘I feel like you want to think what you’re feeling is really deep, like some seriously profound existential s**t. But to me, it looks like the most tired, the most average thing in the world, the guy who is all interested in a woman until the very moment when it dawns on him that he has her. Wanting only what you can’t have. The affliction of shallow morons everywhere.’” Bravo, Hannah! And it cycles back to the opening dinner party of the book, where again, despite the namedropping to Eggers and Svevo and “multisyllabic European film directors” they’re all just trying to get paired off. Is this a conservative book? Politically and/or culturally? I think maybe. Here are my reasons. First, a very subtle clue: Nate negatively reviews a “left-leaning Israeli novelists” new book. Second, Nate’s feeling that his parents really are right, that solid work and overachievement and a little materialism (and feeling proud of it) are good and fine, and that mocking those sensibilities is insensible. Also, it seems as though Waldman mocks the vague and thoughtless pretensions of some of these literary teenagers, such as smoking for no good reason or feeling oh-so-separate from former classmates who are now bankers. But send-ups of the self-absorbed literary glitterati are nothing new: see Breaking Ranks by Norman Podhoretz and others like it.